Microsoft has announced that the new Nokia Lumia 530 smartphone will go on sale in the UK on the 4th of September, the handset will be available with a range of mobile carriers and third party retailers. From the 4th of September, the Nokia Lumia 530 will be available from O2, Three, EE and Vodafone and also retailers the Carphone Warehouse and Phones 4U. 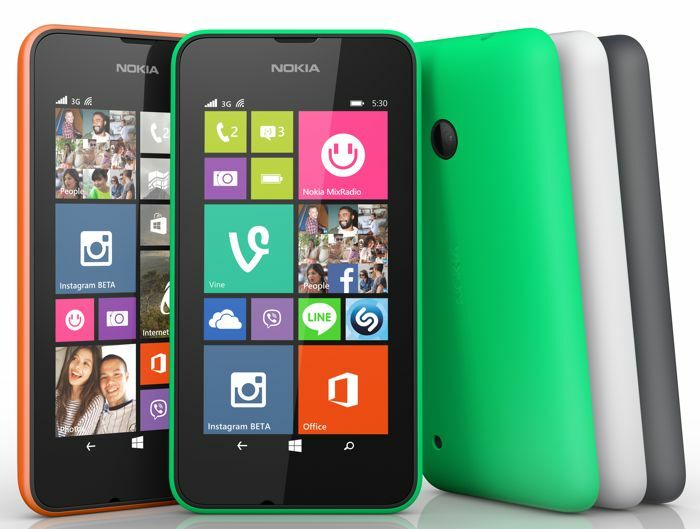 Microsoft today announced UK availability for its new Lumia 530 smartphone. Available across major UK retailers from 4th September, the Lumia 530 will be on sale from as little as £60. This powerful new smartphone runs Windows Phone 8.1 and delivers an uncompromised Lumia experience, including the latest popular apps. Microsoft’s cheapest smartphone to date comes with a range of innovations and services normally found in high-end smartphones. As a reminder, the Nokia Lumia 530 comes with a 4 inch display that has a resolution of 854 x 480 pixels, processing comes in the form of a quad core 1.2GHz Qualcomm Snapdragon 200 processor. Other specifications on the Nokia Lumia 530 include 512MB of RAM and 4GB of built in storage, if you need more storage, there is a microSD card slot which can take up to 128GB cards. The Nokia Lumia 530 comes with a 5 megapixel rear camera, and the handset features Windows Phone 8.1, you can find out more details over at Microsoft at the link below.